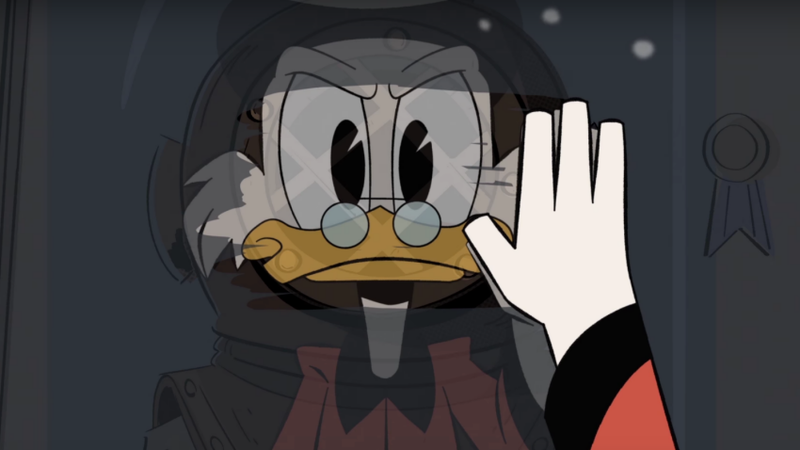 This first trailer for DuckTales might just be the coolest thing we see all week, all year, or in our lifetimes. David Tennant was simply born to play Scrooge McDuck. Disney XD has released the first, non-theme song at the rebooted DuckTales, based on the iconic ‘90s kids cartoon show. Tennant, playing a pitch-perfect Scrooge, is joined by Danny Pudi, Ben Schwartz, and Bobby Moynihan as Huey, Duey, and Louie, respectively. They sound more like adults with digitally thinned voices than quacky kids, but I think it works in their favor (I’ve never been a fan of Donald’s voice). We’ve also got Toks Olagundoye as Mrs. Beakley, Beck Bennett as Launchpad McQuack, and Kate Micucci as Webby Vanderquack. Check out the first trailer below, and witness the glory. Seriously, they made an orchestrated version of the theme song.